It sounds to me like Miyamoto has the indie bug–that itch some veteran game developers feel to work on smaller games, in which they can worry more about design and less about production values. This story of developers scaling back comes up time and time again in the gaming industry. Only in this case, Miyamoto is sticking with Nintendo. The move makes me wonder if Miyamoto will work on downloadable games, which have been a weak point for Nintendo. 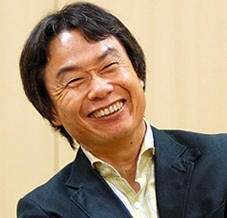 I imagine there’d be a lot of interest in small, downloadable games with Miyamoto’s name on them. But he doesn’t seem to be thinking too small. He plans to start working on a project in 2012, and possibly show it off publically within a year. Seems to me that Miyamoto’s role is changing, just as he told Wired, despite the first sentence in Nintendo’s statement. He’ll oversee development efforts, but wants younger developers to take on a bigger responsibility in creating the company’s megafranchises. That’ll give Miyamoto some freedom to work on newer ideas on a smaller scale. I can understand why Nintendo wants to re-frame the story; it doesn’t sound good to investors if the company’s creative genius wants to step back from guaranteed moneymakers. But I relish the possibility of Miyamoto working on new ideas instead of figuring out how to rehash Mario one more time.